Centreforce Radio raised over £1200 for Breast Cancer Care when it held its special event, Beauties and the Beats on Friday, 7 December at the radio station based at Pixel Business Centre in Waltham Abbey. The event was held from 6pm to midnight where female DJs played to a huge audience through the special dedicated show. Listeners were encouraged to donate, and many sent in messages to show their support. A number of female guests attended the event to help raise awareness and funds for charity. 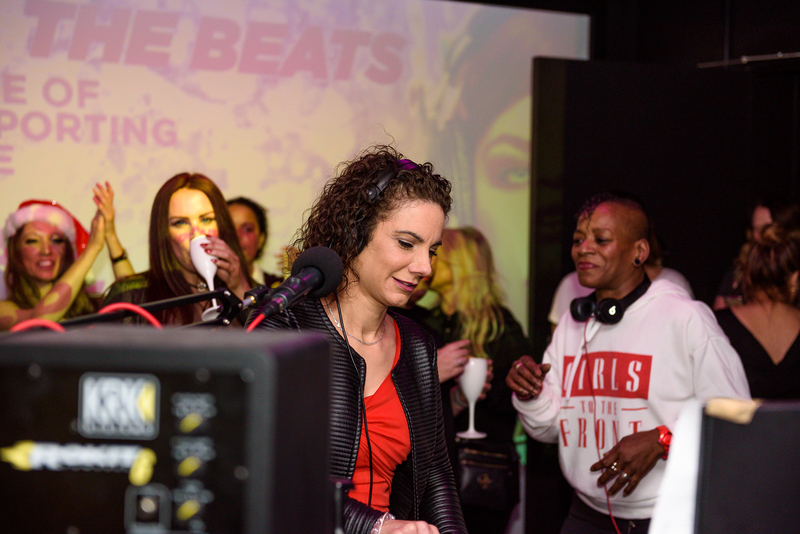 DJs Carly Denham, Danielle Montana and Jenny Bean played house music and vocalist Haifa Jordan sang live to guests while reaching thousands of listeners locally, nationally and globally. Centreforce Radio has been live on DAB radio since 14 July 2018 and reaches 140 countries globally and over 80,000 listeners online since it went live. The station has a strong social media following with over 35,000 Facebook followers. Alec Raven, Head of Community Fundraising at Breast Cancer Care, added: “We’re so grateful to Centreforce Radio for holding their ‘Beauties and the Beats’ event in aid of Breast Cancer Care. The money raised will help Breast Cancer Care to continue to provide free services including; support over the phone with a nurse or someone who’s been there, welcoming online forums, reliable information and local group support.